Join the fun in the pediped Online Egg Hunt 4/1-4/5 and 4/8-4/12! You are here: Home / SoCal City Kids News / Join the fun in the pediped Online Egg Hunt 4/1-4/5 and 4/8-4/12! pediped has a fun online egg hunt planned they will do on pediped.com 4/1 – 4/5 & 4/8 – 4/12. They will be running a website “egg hunt” where they hide an Easter egg somewhere on the site and the first person to find the egg gets a penny pair of shoes in their choice of size and gender. Here are the rules and steps. 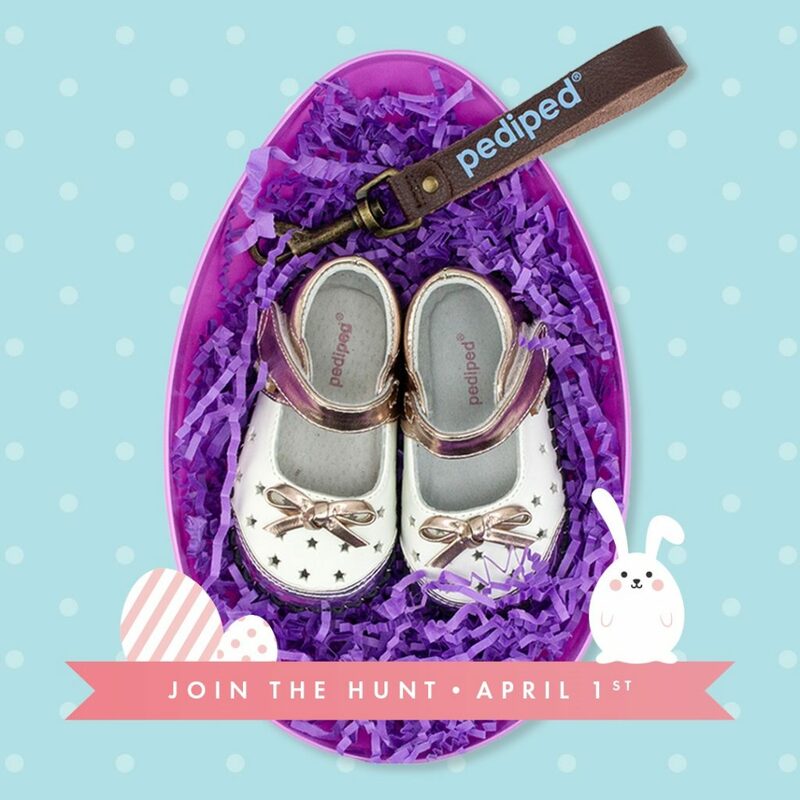 Win a pair of shoes for ONE PENNY & FREE SHIPPING when you find an “Egg Hunt” egg on pediped.com! Each day we will hide three eggs on the site between 10AM and 2PM PST at random times Monday-Friday. Step 1: Search pediped.com for a colorful “Egg Hunt” egg. Step 2: Select your size/gender, add to cart. Step 3: Place your order FAST! Each Penny Egg will redeem a NEW Spring/ Summer style in your size and gender selection for ONE PENNY & FREE SHIPPING! pediped® is sold in over 750 stores in the United States and 40 countries worldwide with an offering of more than 120 designs for boys and girls between its three lines, Originals®, Grip ‘n’ Go™ and Flex®. The award-winning footwear is available in EU sizes 17 to 38 (US newborn to 6 Youth). For more information, visit www.pediped.com. LIKE on Facebook at/pedipedfootwear and follow on Twitter and Instagram @pedipedfootwear.